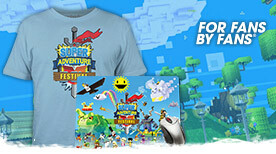 Greetings from the guilds team! We’ve been hard at work putting together the guild halls system for you, and we’re thrilled to finally be able to share it. This is the first in a series of blog posts that will cover the different aspects of the system—and there are a lot—but for today we’re going to provide you with an overview. In this post, we’ll tell you about the guiding lights of the guild halls system and introduce the guild halls we’ll be adding in Guild Wars 2: Heart of Thorns™. Emphasize Community and Fellowship: Guilds are about bringing players together to forge friendships and communities through shared experiences. Guild halls should help those communities develop and encourage members to play together to strengthen their relationships. A Place to Call Your Own: Your guild hall is a personal space for your guild. You control who can enter your guild’s map, and it’s a place you can retreat to with your close friends when you want to get away from the crowds of the open world. Build a Shared History: As your guild grows and changes, so too does your guild hall. Over time, your guild’s efforts to build up the area will make visible, lasting differences and become a testament to your guild’s growth. Bring Guilds into the World: While some guilds are already important to the lore and history of Tyria, with Guild Wars 2: Heart of Thorns, we want to make your guilds important to Tyria. 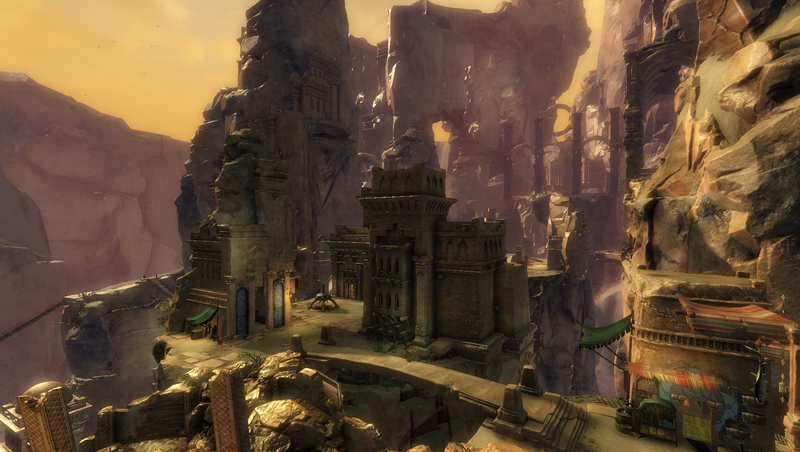 The guild halls of Guild Wars 2 exist alongside the public maps in the Heart of Maguuma region, and each has its own history to unearth. Activate Player Creativity: Beyond a fun place to gather and socialize, we want guild halls to be spaces where you can create content for each other. These maps are huge by design, giving you plenty of space to amuse and entertain. Over time, you’ll gain access to more tools to support that. New Ways to Play Together: Guild halls are a living system, and not just a place to unlock some vendors. To that end, we’re working to add new content for guilds to bridge the gap between the hall and the open world. 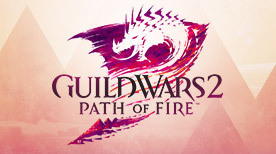 From overhauls of WvW guild claiming and guild missions to a new multiplayer combat sandbox and guild-focused crafting discipline, there’s going to be a lot to do. The new guild halls were once inhabited locations, hidden on the outskirts of the Maguuma Jungle—their original inhabitants long since gone. You’ll need to mount an expedition to find these locations and wrest control from the Mordrem currently infesting them. Once they are under your guild’s control, you can begin acquiring services for them and building them back up to their former glory. 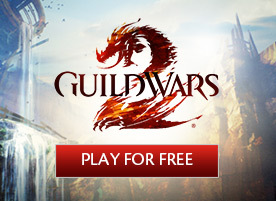 We’ll be introducing two guild halls with the launch of Guild Wars 2: Heart of Thorns. The first is the Lost Precipice, a hidden canyon refuge on the border between the Maguuma Jungle and the wastelands to the north. Empty cliff dwellings dot the walls of the precipice, and rope bridges connect stone spires of dizzying heights. Who carved the dwellings, passages, and statues into the rock of this windswept retreat, and what happened to them? 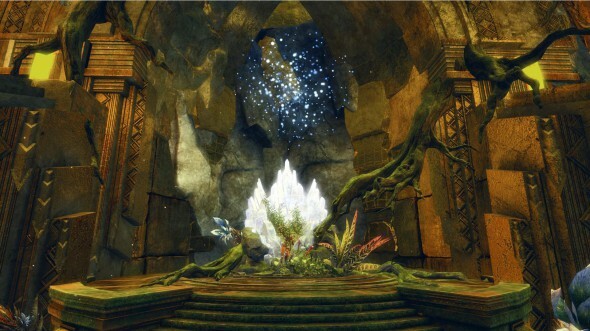 Secreted beyond a lost golden city in the heart of the jungle, the second guild hall that players can explore and settle is the Gilded Hollow. This monolithic cavern contains the remnants of an outpost of that city, but why was such a grandiose space carved out in the first place, and why was it abandoned? The answers await those willing to brave its winding halls and the vast aquifer it’s built atop. No matter which hall your guild decides on, we hope to send you on a grand adventure. In the next post in this series, we’ll discuss how guild halls fit into the lore of Guild Wars 2: Heart of Thorns, as well as how your guild can actually claim one for its very own. Stay tuned!